Looking for private in-home or in-studio Trumpet lessons? Our Chino teachers are ready to get you started. Find your teacher today! Check out some of our most popular teachers near Chino, CA including Riverside, Corona, Rancho Cucamonga, Fontana and Redlands. Problem's with range, sight-reading, tone, or you just don't know how to get better at trumpet? I have my master's in trumpet performance from UTA and am starting to build a healthy studio at the middle/high school level and I'm looking to branch out, all ages welcome though. I have 3 years experience and am classically focused. Lessons are catered to the needs/goals of the student. My biggest strength is pedagogy. If you have a serious issue in your playing or don't know how to improve, you've come to the right man. I am a classically trained trumpet player that has build his studio of students at the middle/high school level in Arlington and Mansfield ISD, and I am the brass marching tech at Lamar high school. I received my bachelor's in music education from The University of North Texas and my master's in trumpet performance from The University of Texas at Arlington. I currently play in the Crossroads Christian Church band, have played in concerts with the Arlington Community Band, and am looking to play professionally in orchestras around the metroplex. , tone, sight-reading, endurance, finger technique, musicality, etc. I myself was not the most naturally gifted player out there and I had to really consider how the instrument worked in order to progress. Today, those issues are not problem to me now. 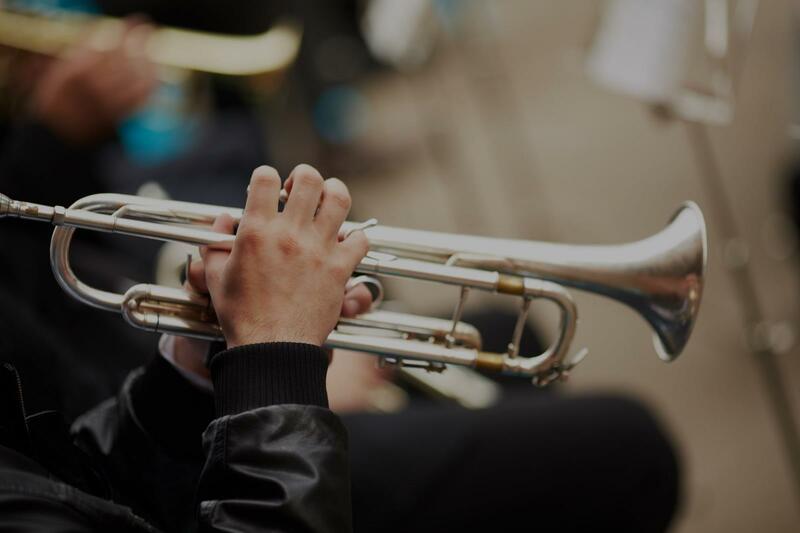 There are many fine trumpet players out there who are great musicians but ineffective teachers of fundamentals as they simply never experienced the kinds of problems in their playing that many students unfortunately have. As a student, I too had many teachers like this. They were wonderful people, but not very helpful. To sum it up, I can show you how to fix the problems in your playing so that you can make the music you want to make. I am an experienced educator and orchestral musician. I have taught students of all ages and ability levels, and I really enjoy helping students learn and grow as musicians and trumpet players. I have held positions with the Dayton Philharmonic Orchestra and the Richmond Symphony in addition to playing with numerous orchestras throughout the midwest. Whether you are looking for help preparing for solo and ensemble, college auditions, or just want to improve on your instrument, I can help! I am currently completing my doctoral degree in trumpet performance at the University of Nebraska-Lincoln, where I am employed as a teaching assistant. I teach in a wide variety of musical styles while creating a challenging, yet fun environment for my students. I take primarily middle and high school students. Hello! My name is Catherine! I am currently completing my doctoral degree in trumpet performance at the University of Nebraska-Lincoln where I am employed as a teaching assistant. My musical background began approximately fourteen years ago, when I began to play and take lessons in the 5th grade. I play in a wide variety of styles including classical (primarily), jazz, and some commercial. I absolutely love teaching future generations of musicians in a practical, fun and challenging way. My goal as a teacher is to encourage disciplined practice, instrumental proficiency, and most importantly, a love for music! Can't find a teacher in Chino, CA?